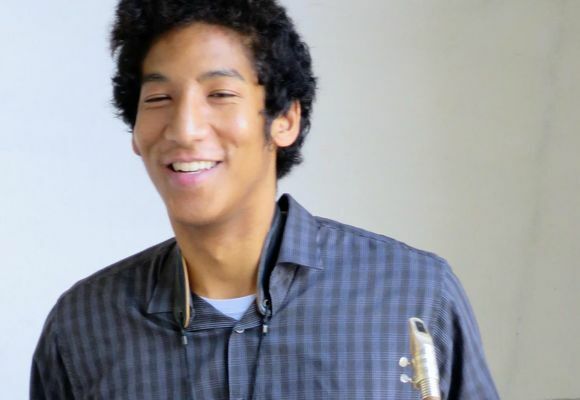 Jovan Alexandre is a New York based saxophonist originally from Connecticut. He has been playing professionally since age 18 when he debuted nationally performing at the GRAMMY after party with the Gibson/Baldwin GRAMMY Jazz Orchestra. Jovan has since performed, toured, or recorded with world class musicians such as Curtis Fuller, Frank Wess, Ralph Peterson, Franklin Kiermyer, Winard Harper and others. He is the grandson of the memorable singer Fred Parris, whos single “In The Still of the Night” with The Five Satins was the only song to chart the Billboard 100 three separate times. Jovan embraces the different cultural and musical influences he was born into. Honoring his ancestors from Haiti and Japan, he shares his faith and passion in hopes of a peaceful world.